"Journalism shouldn't be about left and right. has become but it's certainly not what it should be. That is the one thing he has said that is indisputable. making false allegations against her or ruining her career. more web traffic. That is where we are today. not that facts that reveal the truth." This kind of "journalism," as Andrew Breitbart calls his cold hearted, deceitful hatchet work, was also used by Glenn Beck on President Obama; and the media slept. 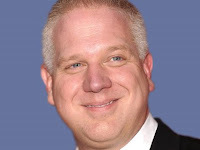 Obama is always being attacked by Glenn Beck in unscrupulous ways, so no one - but Beck's focussed critics - noticed. Between that NAACP resolution and Breitbart's publishing of that hatchet job of Sharrod's speech, the Tea Party did purge the racist Tea Party Express from its ranks. Since racism is clearly an issue in the Tea Party, which Beck acknowledges and downplays, what is the need for "retribution" on Breitbart's part? Before Breitbart timed his release for the news cycle on Monday, the NAACP and the Tea Party seem to have come to agreement (on CNN) that there is no room for racists in the Tea Party movement or the NAACP. Breitbart's video seemed to inflame more than it healed, and of course that's what race-baiting is about. Breitbart and Beck both do this; they both incite racial tensions. Beck does it ironically while claiming the mantle to civil rights because the actual civil rights leaders have, in his view, "hijacked civil rights" for social rights instead of individual rights which Beck believes Martin Luther King stood for. Beck gets a lot wrong, and this perspective on King is just one example. This hatchet job filled the news cycle for 48 hours, and then Beck accused the White House of firing Sharrod to distract the public from the signing of the Financial Reform Bill! Beck declared this bill to be the end of our Republic. For Glenn Beck, our Republic is dead because the financial system is now regulated to prevent millions of Americans from being thrown out of their work, homes and/or cars every ten years or so. Who is Glenn Beck speaking for, the people or Wall Street? Beck's discursive style is fear-mongering, hyperbolic and deceitful. Like all ideologues on the far left and the far right, Beck has the kind of certainty that comes from picking and choosing what facts he recognizes to comprise the "truth" and ignoring the facts that do not fit in with his reactionary, anti-government narrative. It requires discipline and objectivity to avoid this temptation, both qualities Beck lacks. Andrew Breitbart and Glenn Beck are allies for a reason: they are two peas from the same pod of deception. The media need to give greater scrutiny to Beck's methods in the way that the Sharrod crisis put focus on Breitbart's. The biggest difference between Breitbart and Beck is that Beck is far more talented as a speaker, propagandist and salesman. He is extremely convincing. Glenn Beck is America's premier salesman. Beck and Blackbart are definately birds of a feather. Willing to destroy any good person for fun and profit. And the biggest shame? Beck does this while wearing his Mormonism on his sleeve, and claiming special knowledge from God. Using Anderson Cooper as a model for good journalism? Seriously, that is akin to using Carter or Nixon as models for presidents! Anonymous, I'm open to other suggestions. Who do you think is a model for good journalism? Don't criticize here unless you have better ideas. About the good journalism thing, I guess you might use a quote actually connecting Beck with Breitbart, since that appears to be the intent of this article. For a good model you could use a quote from Tim Russert who actually aspired to Cooper's first 2 sentences. By the way the name is spelled Sherrod. You go off on a number of tangents here, but with respect to how you attempt to tie Beck and Breitbart as allied on this is outright nonsense, as you have cherry-picked your "facts". I wonder if Cooper was your only source for this story, because if you had bothered to see Beck's 7/21 show, the day after Sherrod was fired, you would have seen how this is taken completely out of context, chronologically. Sherrod was fired 7/20am after Breitbart's video surfaced. This is the day before Beck talked about it when he defended Sherrod, indicating she was taken out of context by the NAACP and the White House. Understand that the NAACP had the complete video of Sherrod's speech, as this was an NAACP event, which they didn't bother to review before calling for Sherrod to be fired. You really should see the actual video before making these insinuations, because you see, as Cooper is of the left he can't be your sole source if you're looking for the truth. I have included 3 youtube links of cuts from Beck's 7/20 show of various lengths for your perusal. You should see that if you expect others to trust anything from GBR, you must correct the record. Would you ever indicate when Beck got something right or is he always deceitful in your eyes? Jack, I do agree with Beck on a few points. The topic of Beck's show on 7/19 was one I agreed with. Beck had been informed over the previous weekend about the Administration's plan to assassinate an American suspected of involvement with Al Quada off the battlefield. Beck is right to take issue with this violation of the Constitution. Beck is also woefully uninformed as that news was over 6 months old on July 19th. Beck, actually, often uses video clips out of context that distorts the meaning of the speaker's words. When Beck claims that for him "context matters," he's lying through his teeth.